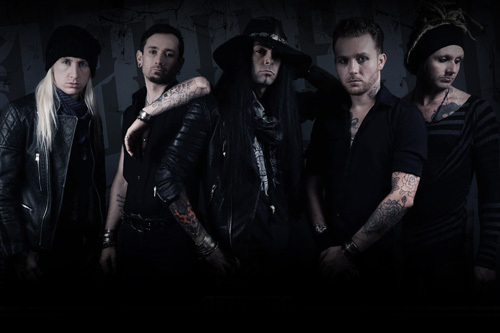 Four years in the making, Devilfire is the brainstorm of producer Alex Cooper (Shy, Spike of the Quireboys, Ginger), who wanted to create a new melodic hard rock band. Cooper himself would be the principal songwriter and singer for the band. With time, re-tracking, and recruiting members, Cooper and Devilfire emerged in 2016 when, to a glad surprise, Tarja Turunen invited them to tour with her in Eastern Europe. The recognition and success of that tour and additional following shows in the UK led to dropping their new and debut album Dark Manoeuvres. 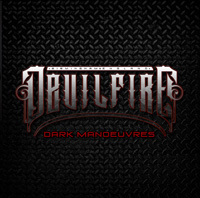 Devilfire and their sound need little explanation: this is melodic hard rock in the classic tradition, sometimes with a metal edge, definitely wrapped up in AOR accessibility. All the songs are large on memorable melodies, keen vocal harmonies, vibrant rock rhythm and groove, harmonious riffs and slick solos, and damn fine catchy refrains. As songwriter, Cooper writes personal, often dark, songs based on the ups and downs of life, love, and relationships in the context of excessive substance abuse. As a singer, he has a strong, assertive, and emotional voice, yet also a melodic and clean vocal style. As for the songs, the aforementioned description carries through the album. Straight forward melodic hard rockers, possibly on the heavier side, come with God Give Me Vengeance, Ready For War, A Thousand Times, and Waiting For A Rockstar. Yet, that latter song shows Devilfire's ability to incorporate AOR accessibility. This theme carries over to (In And Out Of Love) All The Time, the heavier Kill Your Love, and arena ready sweet ballad, Tear Me Apart. A true ballad comes with Somehow, moving by Cooper's voice over guitar. Additionally, you'll notice some synth (or perhaps guitar synth) symphonic embellishment throughout this album, giving songs such as Tear Me Apart, A Thousand Times, or Lay It On The Line greater depth. Finally, and also in the best classic rock tradition, there's an abundance of killer guitar solos throughout. With time and perseverance, Alex Cooper and Devilfire have delivered a solid and entertaining album of AOR melodic hard rock that lives and breathes with passion and energy. Easily recommended. With time and perseverance, Alex Cooper and Devilfire have delivered a solid and entertaining album of AOR melodic hard rock that lives and breathes with passion and energy. Easily recommended.